ROI applies to everything. From your events to your event management tech, being able to measure your return on investment is a vital element to your organizational success for both attendees & planners. If you are looking to increase your event ROI, one of the best places to start is with your technology! Here are our top 3 picks for the best apps & software to consider to help with this task! 1. iWaz.at: We all know the feeling. We enter a conference and realize we don’t know anything about anyone there. 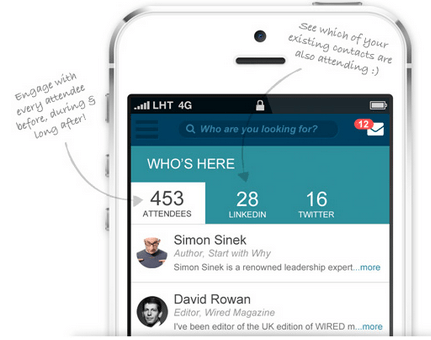 iWaz.at automatically generates detail-rich profiles for each and every attendee. It’s impossible to talk to everyone at a conference, so iWaz.at helps you discover things about attendees so that you can make the most of the event! Agendas, exhibitor profiles, event info, and branding can all be built to improve the conference experience. For organizers, raising audience engagement can mean increased attendance, greater positive referrals and a boost to your bottom line! 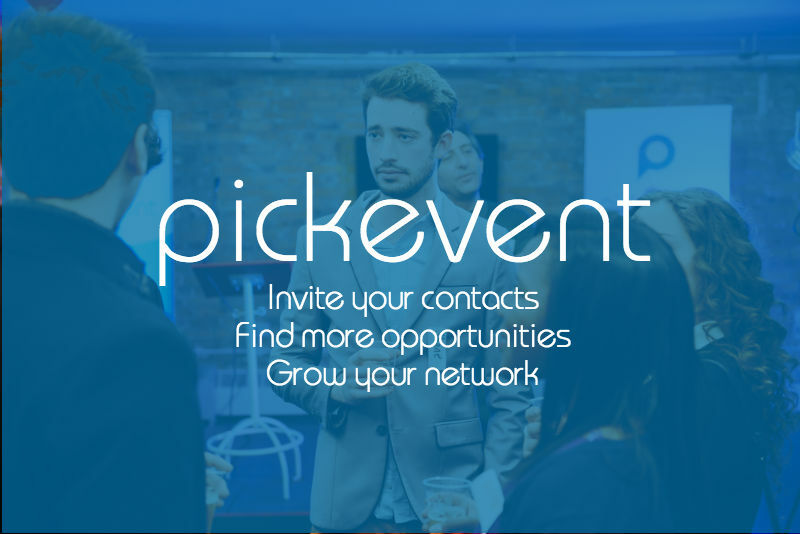 2.Pickevent: Pickevent is the world’s first professional events network that connects attendees, speakers, and event organizers. Started by Jose Bart in February, it ensures that you never end up at an event that doesn’t interest you. It helps you find events worth attending based on your personal interests. And the networking doesn’t stop once the event is over! You can review the speakers and event organizers to inform the community about what works and what doesn’t. 3. evvnt: For organizers, getting your event out there isn’t easy. There’s a veritable plethora of places that you can advertise with and listing each one can a time consuming & labor intensive process. Launched by Richard Green in April 2013, event does the legwork for you, distributing your event to a network of listing sites. They can add your event to as many as 90 sites & apps, from Eventbrite and Facebook to local listings exactly where you need them! Within 24 hours of listing each event, you will receive a full report, showing where your events are listed, how many people have seen them and how many clicks you’ve received…Talk about networking! Will you be using any of these apps or software prior to attending or planning a conference or event?! Let us know which one you think seems most useful in the comments below or on Facebook and Twitter!